Film Review: ‘The Spectacular Now’!!! From the director of ‘Smashed‘ (James Ponsoldt) and the writers of ‘500 Days of Summer‘ (Scott Neustadter and Michael H. Weber) comes this charming little gem called ‘The Spectacular Now’. In a way, this is a high-school movie, but one that is wholly original and incredibly acted by its young adult cast. The film tackles a few big subjects, and not all of them are good, such as alcoholism, abandonment, and depression. However, the actor’s magical appeal keep us wanting more. This could be a huge hit in the Indie film scene, and I hope it does better with a wide-release, because ‘The Spectacular Now‘ is well…spectacular. CLICK HERE FOR MY FULL REVIEW OF ‘THE SPECTACULAR NOW’!! Teller is an amazing actor and gives a stellar performance as a young man who can charm anyone, but is hiding his depression. Woodley is a beautiful sweetheart, and she makes us fall in love with her very fast, just like Sutter did. Leigh and Chandler turn in great performances too. 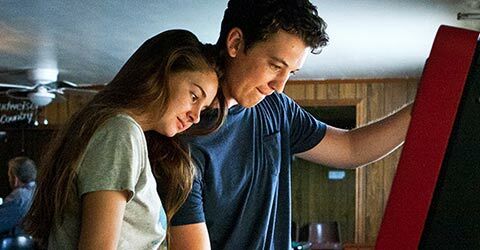 ‘The Spectacular Now‘ is a wonderful look into a flawed character who we want to see succeed in everything he does and this film delivers on several deep and emotional levels. Go see ‘The Spectacular Now‘. This entry was posted on Friday, August 16th, 2013 at 5:11 pm	and is filed under Film, News. You can follow any responses to this entry through the RSS 2.0 feed. You can skip to the end and leave a response. Pinging is currently not allowed. « Film Review: ‘The Butler’!!! [in 1997 Special Edition only] Oh, this is suicide! There's nowhere to go.